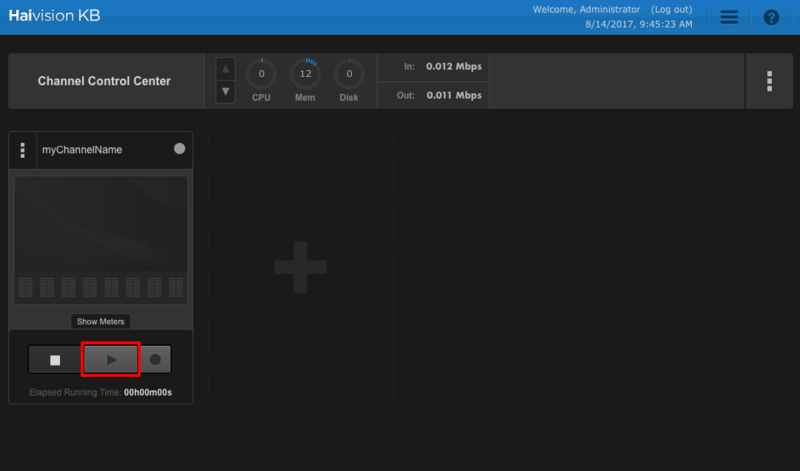 This topic shows how to configure the Havision KB live encoder encoder to send a single bitrate stream to AMS channels that are enabled for live encoding. 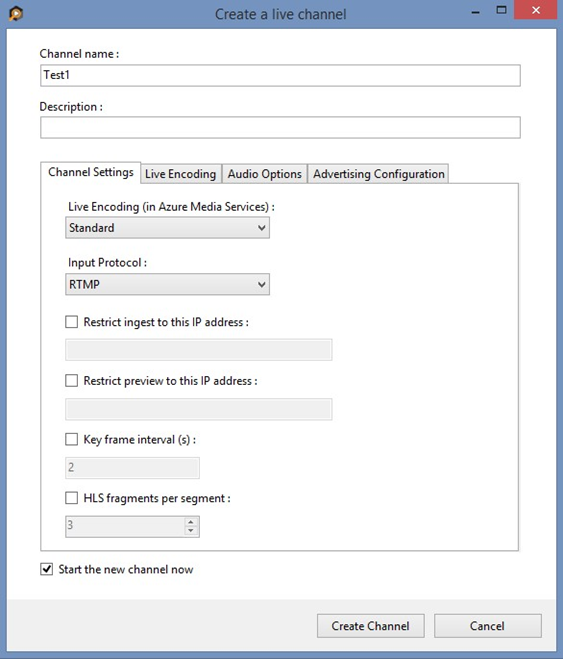 For more information, see Working with Channels that are Enabled to Perform Live Encoding with Azure Media Services. 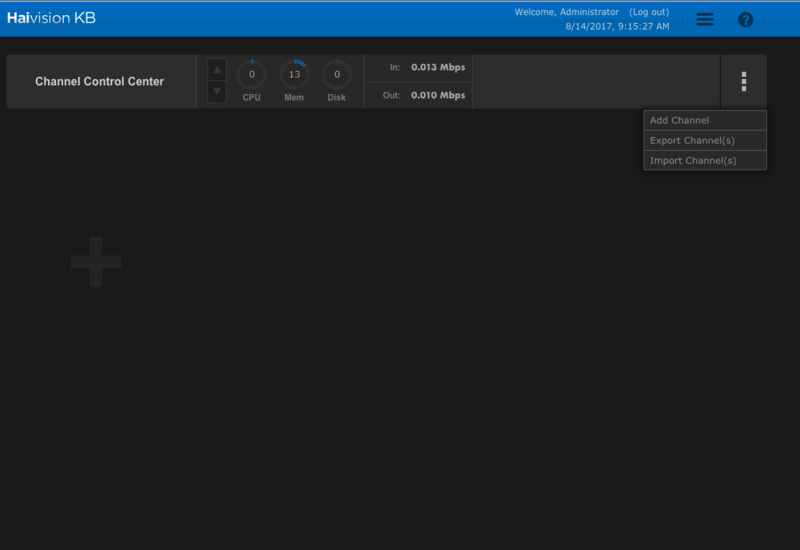 This tutorial shows how to manage Azure Media Services (AMS) with Azure Media Services Explorer (AMSE) tool. This tool only runs on Windows PC. 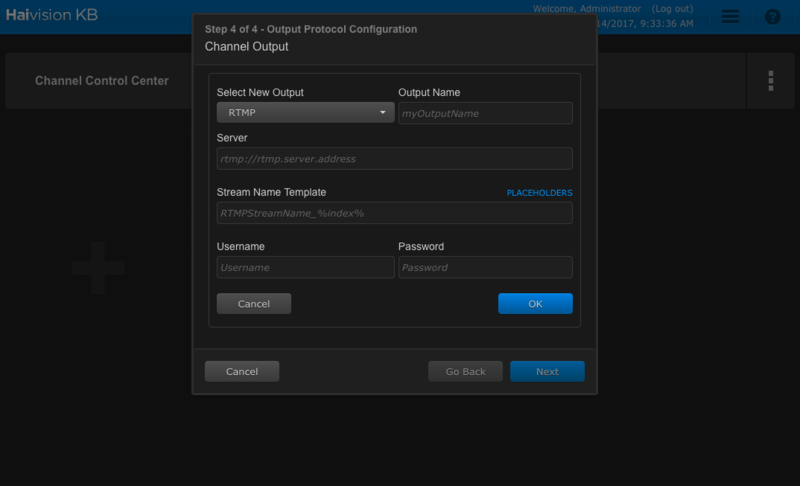 If you are on Mac or Linux, use the Azure portal to create channels and programs. Access to a Haivision KB encoder, running SW v5.01, or greater. Install the latest version of the AMSE tool. Launch the tool and connect to your AMS account. Whenever possible, use a hardwired internet connection. A good rule of thumb when determining bandwidth requirements is to double the streaming bitrates. While this is not a mandatory requirement, it helps mitigate the impact of network congestion. When using software-based encoders, close out any unnecessary programs. 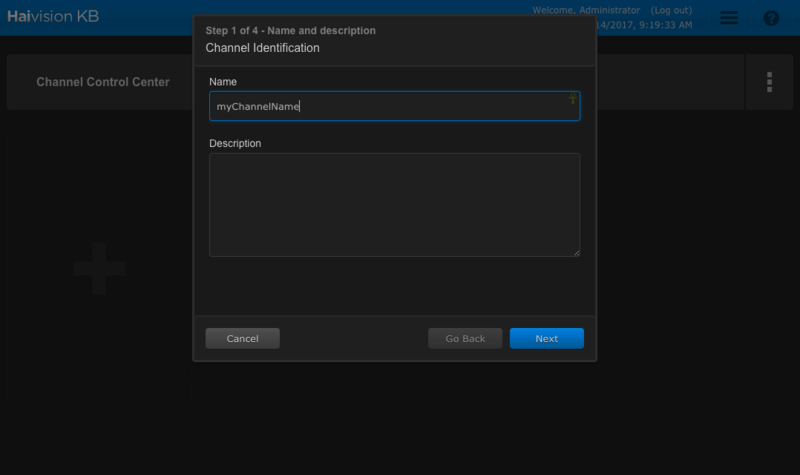 Specify a channel name, the description field is optional. 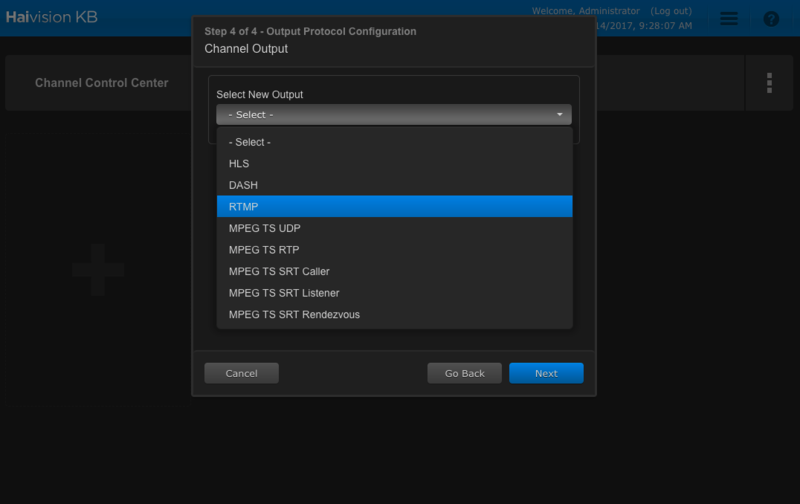 Under Channel Settings, select Standard for the Live Encoding option, with the Input Protocol set to RTMP. You can leave all other settings as is. Make sure the Start the new channel now is selected. The channel can take as long as 20 minutes to start. In this tutorial, the following output settings are used. The rest of this section describes configuration steps in more detail. Log in to the Haivision KB user interface. Type the Channel Name in the Name field and click next. 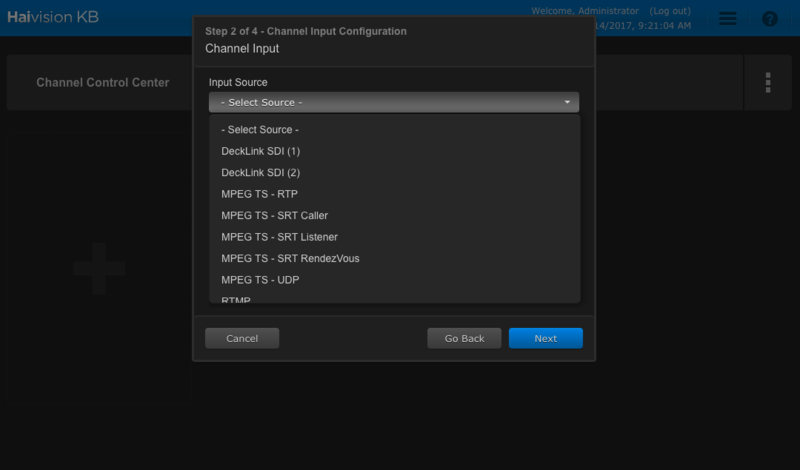 Select the Channel Input Source from the Input Source drop-down and click next. 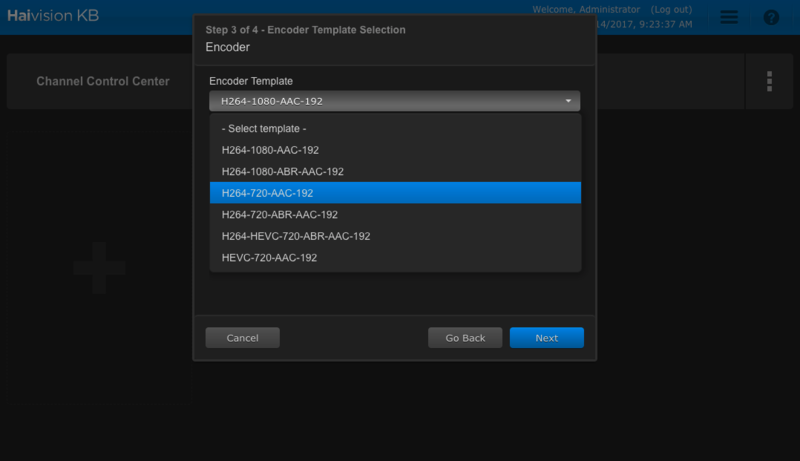 From the Encoder Template drop-down choose H264-720-AAC-192 and click next. From the Select New Output drop-down choose RTMP and click next. From the Channel Output window, populate the Azure stream information. Paste the RTMP link from the initial channel setup in the Server area. In the Output Name area type in the name of the channel. In the Stream Name Template area, use the template RTMPStreamName_%video_bitrate% to name the stream. Click the Play Button to start the encoder channel. Navigate to the AMSE tool, and right-click the channel to be tested. From the menu, hover over Playback the Preview and select with Azure Media Player. If the stream appears in the player, then the encoder has been properly configured to connect to AMS. If an error is received, the channel needs to be reset and encoder settings adjusted. See the troubleshooting article for guidance. Name the program and, if needed, adjust the Archive Window Length (which defaults to four hours). You can also specify a storage location or leave as the default. Check the Start the Program now box. 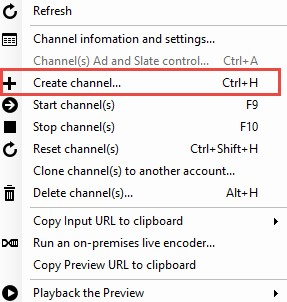 Once the program is running, confirm playback by right-clicking the program and navigating to Play back the program(s) and then selecting with Azure Media Player. Once confirmed, right-click the program again and select Copy the Output URL to Clipboard (or retrieve this information from the Program information and settings option from the menu). The stream is now ready to be embedded in a player, or distributed to an audience for live viewing. Program creation takes less time than channel creation.